LAS VEGAS – Oct. 5, 2017 – Barrett-Jackson will rally around Las Vegas first responders and those affected by the recent tragedy with several initiatives during the 10th Annual Las Vegas Auction at the Mandalay Bay Resort on Oct. 19-21, 2017. The entire sale price of a rare 2007 Ford Shelby GT500 Super Snake to be auctioned will go to a special fund that supports Las Vegas first responders. 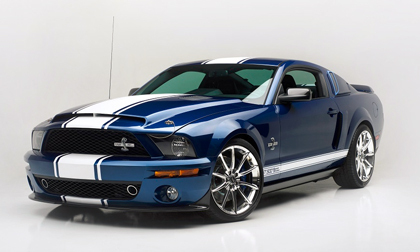 The Super Snake, donated by Barrett-Jackson president Steve Davis from his personal collection, is a 2007 Ford Shelby GT500 Super Snake 40th Anniversary Edition. It will be auctioned on Saturday, Oct. 21, at 1:30 p.m. (PT) during the Barrett-Jackson LIVE broadcast on Discovery Channel. The car was originally owned by former Ford Motor Company CEO Mark Fields and was documented to be the seventh built that year. Not only was it one of the first Shelby GT500s to be built since the 1970 model year, it was transformed by Shelby Automobiles (now Shelby American) in Las Vegas into a Super Snake edition car under the watchful eye of Carroll Shelby himself, who signed a special book documenting the car. The over-600-horsepower muscle car was recorded as the 11th Super Snake manufactured that year. The Shelby also received the coveted 40th anniversary option, with commemorative badges, upgraded brakes, new suspension and many other enhancements. Barrett-Jackson also plans to support first responders by offering two free tickets to the event, which can be claimed by presenting proper identification at the Mandalay Bay Box Office. In addition, Barrett-Jackson is arranging for on-site donation opportunities that will benefit those affected. Additional details on exact locations and how to donate will be released at a later date, and more information will be available at Barrett-Jackson.com. Established in 1971 and headquartered in Scottsdale, Arizona, Barrett-Jackson, The World’s Greatest Collector Car Auctions®, is the leader in collector car and automotive lifestyle events, which include authentic automobilia auctions and the sale of high-profile estates and private collections. The company produces auctions in Scottsdale, Arizona; Palm Beach, Florida; at Mohegan Sun in Connecticut; and Las Vegas, Nevada. With broadcast partners Velocity and Discovery Channel, Barrett-Jackson features extensive live television coverage, including broadcasts in over 100 countries internationally. Barrett-Jackson also endorses a one-of-a-kind collector car insurance for collector vehicles and other valued belongings. For more information about Barrett-Jackson, visit Barrett-Jackson.com or call 480-421-6694. The 2017 Las Vegas Auction Docket is available to view online. Click here to consign a vehicle or visit Barrett-Jackson.com/Bid for information on becoming a bidder. Advance tickets and three-day ticket packages are also available at Barrett-Jackson.com.